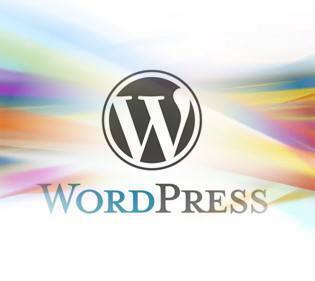 WordPress started becoming popular in 2003 as a blogging tool. Since then, WordPress has become the most popular content management software for all types of websites. Here are a few reasons that WordPress is increasingly popular and why switching to a WordPress website can benefit your company. Easy – WordPress is very easy to learn and has an intuitive interface that is always evolving. You can easily and quickly add new pages, blog posts, and photos whenever you want. It uses a simple but powerful technology which makes it a great choice for website design. Convenient – Because WordPress is browser based, you have the option to login from any computer or tablet to manage your website. Non Technical – WordPress does not require any knowledge of HTML to maintain once the website is built. It’s much like using a word processing program like Microsoft Word and you can upload media like photos, without using any FTP software. SEO Friendly – WordPress code is very clean and simple, which makes it easy for the search engines to scan and index your site’s content. Each page, post, and photo can be optimized for a target keyword phrase. You can add pages or posts to target new keyword phrases as often as you want. DIY – You won’t have to wait for your web designer to perform updates to your website. You have full control of just about every part of your website with WordPress and can make updates yourself. Customization – WordPress is like the engine of your website. The look and feel can be completely customized so your company identity can be projected and provide a pleasant experience for your site visitors. Blogging – WordPress was originally designed as a blogging tool, so blogging capabilities are built-in. You can make your website more interactive by adding recent posts to your home page. This can keep people coming back to your website for helpful information and articles. Plugins – There are thousands of free and premium plugins available for functionality like an event calendar, photo gallery, Social media feeds, complex forms and more to your site. Options for Future Growth – WordPress sites are very changeable. No matter how many pages and posts you add, your website will perform quickly.